Aim to try something new every week. Whether it’s trying out a new restaurant, reading up on a new topic, or experimenting with something new in my business, it helps me to feel as though I’m developing. I’m a naturally curious person who loves to learn, intellectual stimulation and challenge are really important to me. The latest way in which I’ve stretched myself (literally) has actually been going to a yoga class designed to open up your hips. It sounds like no big deal, but it’s really humbling, because I have super-tight hips, and am easily the least flexible person in the class! So, in addition to helping my body, it also serves as a great life lesson about the importance of relaxing through discomfort, staying in my own lane by focusing on my own progress (as opposed to what others are doing), and celebrating small wins. As a part of our series interviewing experts on how to live a “ravenous life” — a life filled with the passion, pleasure, playfulness and abundance that come naturally to those who dare to be authentic, I had the pleasure of interviewing Dr. Patricia Thompson. 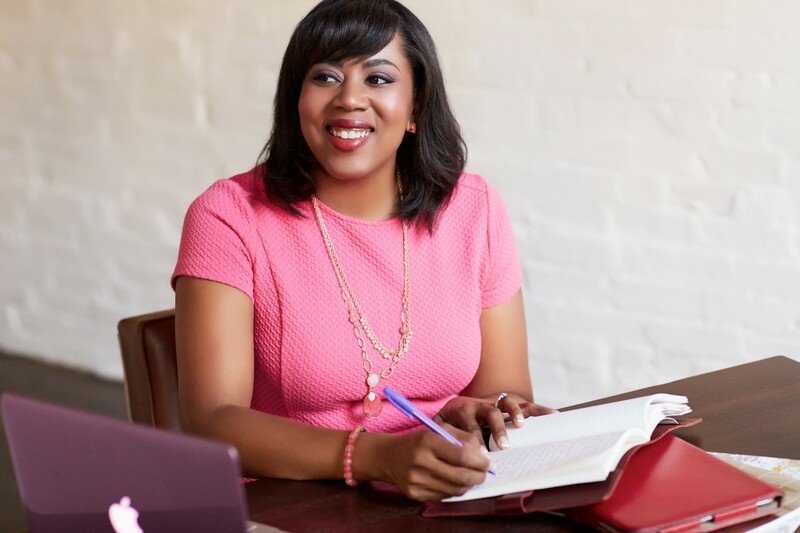 Dr. Thompson is a corporate psychologist, speaker, and President of Silver Lining Psychology, a management consulting firm designed to help others to be happier and more successful at work through executive coaching, team building, and personality assessment for hiring. She is also the author of The Consummate Leader: a Holistic Guide to Inspiring Growth in Others…and in Yourself, and the creator of the Executive Mindfulness Online Course. Like a lot of people, I sort of fell into my career path. I was always the type of kid who stuck up for the underdog (probably because I often felt like one myself), so I knew I wanted a career that would allow me to help others. When I was in high school I took my first psychology class, and I loved it. I really enjoyed starting to learn what made people tick. So, at that point, I decided that I wanted to do something related to the study of human behavior. In undergrad I studied sociology, which I found fascinating. But, I realized that I wanted to work with people one-on-one, as opposed to just studying behavior on a larger scale. At that point, I decided to pursue a PhD in clinical psychology. My original plan was to be a psychotherapist; however, while I was doing my post-doctoral fellowship at a public hospital, someone came and spoke to our class about consulting psychology. I hadn’t heard of it before, but it sounded intriguing because it would give me the opportunity to effect change on a bigger scale. After all, people spend so much time at work, and if they’re unhappy there, it often trickles into other areas of their lives. I figured that if I could help executives to become better leaders and to set strategies that could improve organizational cultures, I could impact more people, because as they became more effective, the effects would be felt throughout their companies. So, I applied to work at a management consulting firm — and they accepted me. Although it was definitely an adjustment from my clinical roots, it’s been a very fulfilling career path for me. To me, living on purpose means actively making choices that enable you to live a life that’s aligned with your values. It’s the sort of life that you don’t feel a need to escape from — when Monday morning comes, for example, you don’t feel a sense of dread. Instead, you’re excited to dive in. I think the first step towards living a purposeful life is to reflect on your values and what’s important to you. Some people might feel a strong need to be of service. Others might have a strong desire for accomplishment. Some might need to express their creativity. Or, because most of us have many interests, you could have all three! Whatever your sweet spots are, you have got to find ways to honor them in your life. You don’t even necessarily need to make massive changes what you’re doing to achieve that. You don’t need to quit your job and move to Bali — you could stay in your same job, and find ways to be more creative or to serve others, for example. But, the key is to actively choose to engage in behaviors that allow you to express your core values. The other thing I would say is that a life lived with purpose is one that you’re present for — you can’t just go through the motions, Nowadays there are so many distractions (often in the form of our smartphones in our pockets). It’s sad to see people so focused on their electronic devices that they miss out on what’s right in front of them. I’ve seen people so focused on getting the perfect shot of a sunset that it seems like they’re missing out on fully taking in and appreciating the beauty of nature’s display — I’ve been guilty of that at times. Or I’ve seen people so caught up in what happened yesterday or so focused on what’s going to happen tomorrow, that they lose out on appreciating the present moment. Once you’ve created a life that’s aligned for your values, you’ve got to make sure that you’re savoring it and fully present for it. Otherwise, what’s the point? I think pain is often our best teacher because it really gets our attention. So, I’m sure I could come up with plenty of stories for this one! But, one that comes to mind is from a few years ago. I was employed at a consulting firm, and I had been wanting to start my own business for some time, but I had been afraid to take the leap. I had a lot of business ideas that I wanted to explore, but I was afraid to give up the security of working for someone else — even though I had a lot of issues with the company culture. The business started going in a direction that was seeming like it would be less and less of a fit for me, but I was still too scared to make a change. Finally, it came to a head during one of our staff meetings. My boss started being really critical and harsh to me for no reason. That might sound like no big deal, but I had worked there for a long time, and that had never happened to me before — I was known as the person who got along with everyone. It was the kind of the kind of behavior that caused people to be aghast. I was really upset and angry in the moment, but at the same time, I knew it was the push I needed — I just wasn’t prepared to work in that sort of environment. That night, I made the decision to start my own business. My resignation came within a week. It moved me from ambivalence to commitment, and so even though it was incredibly unpleasant, I knew the nudge was the silver lining. And, it’s been one of the most exciting and rewarding decisions that I’ve made in my life. When I’m coaching executives, I often find that people’s strengths can often be overplayed so much that they become liabilities. I think the individualistic sentiment in the U.S. falls in that category. On the positive, it gives people a sense of personal freedom and agency. However, taken too far, I think it chips away at concern for the greater community. For example, the United States is the only industrialized nation without universal healthcare, paid family leave, and other similar services, and it creates more uncertainty for citizens. I’ve seen many people who are reluctant to go to the doctor, because they don’t know how much it’s going to cost them. Or, they may not get the mental health services they need because they’re not covered. Or they go back to work after having a child before they would want to, because they have no other options. In my opinion, the fewer safety nets in this country become an added stressor that detracts from happiness. I also think that social support ties have weakened. Study after study shows how social support acts as a powerful buffer against stress. Yet, we often get so caught up in our day-to-day responsibilities that we don’t take the time to maintain our social connections or a deep sense of community. When we have crises, like natural disasters, for example, it’s beautiful to see how people come together to support each other. But, for happiness to be enhanced, we need that sense of community during non-emergencies as well. Finally, I think our health habits in general can play a role. We know that factors like diet, exercise, and sleep have a positive impact on our moods. So, if people aren’t making the time to do those things (or if they don’t feel that they have the time), then that can have a negative effect on our happiness levels too. I really try to draw on my strengths to bring goodness to the world. So, for example, I really love writing and I write a lot of articles for my blog and other media outlets that I hope will help people to be more successful and happier at work. I also try to share a variety of articles on social media (@Patricia_Atl) that will educate people to fulfill those same aims. And, in my one-on-one work and work with teams, I love that I can help people to transform their lives at work and beyond. I hear all the time about how those changes have a positive effect on their work teams, families, and friends. I truly believe that when we make changes in our own lives, it ripples out into the world in positive ways. I’m also a supporter of a variety of organizations that help low income individuals around the world. I have a child I sponsor through World Vision. I also support Heifer International, which is an organization that helps impoverished communities to work towards self-sufficiency. I also provide micro-loans through an organization called Kiva — it’s so exciting to see the impact that even a relatively small sum of money can make on others’ lives. Finally, I’m big on small acts — words of encouragement, smiles, kindness. They may seem triviall, but I know that when I’m on the receiving end of them, they put a skip in my step, boost my mood, and affect my interactions with others. I think joie de vivre looks different for different people. Some of my extraverted friends are really outgoing, enthusiastic, and high energy, but as an introvert, it looks a bit different. I deeply appreciate my life and am very present for it. I experience joy and appreciation but it’s probably a much more internal experience than what people might typically think of when they imagine joie de vivre. So, here are my 6 strategies to experience it! I do my best to find pockets of mindfulness when I get up in the morning. Like a lot of households with school-aged children, mornings in my home can be pretty hectic. So, I’m intentional about trying to find moments of calm — whether it’s getting up a few minutes early so I can reflect on the day, or mindfully taking my morning shower (with a few drops of essential oil in the steam), or drinking some tea. Starting the day in that way really helps to keep me grounded, even when things around me are going crazy. I also make sure to exercise throughout the week. My favorites are tennis, gym time, and yoga. Exercising really boosts my energy level, so it’s a necessity for me. The high I feel when I’m on the tennis court, and the zen I feel when I’m at yoga have become feelings that I really look forward to! Meditation has also been a game changer for me. I had dabbled in it at various points in my life, but became much more consistent about it after a bad break-up. It’s made a huge difference in my life — I’ve become more confident, calmer, and better able to handle self-defeating thoughts. I’ve also seen it make a huge difference with the leaders I work with too — it increases their emotional intelligence, makes them more present with their employees, and it enhances their productivity. It’s why I’m so passionate about it, and why I teach it to others. It’s transformational. I also aim to try something new every week. Whether it’s trying out a new restaurant, reading up on a new topic, or experimenting with something new in my business, it helps me to feel as though I’m developing. I’m a naturally curious person who loves to learn, intellectual stimulation and challenge are really important to me. The latest way in which I’ve stretched myself (literally) has actually been going to a yoga class designed to open up your hips. It sounds like no big deal, but it’s really humbling, because I have super-tight hips, and am easily the least flexible person in the class! So, in addition to helping my body, it also serves as a great life lesson about the importance of relaxing through discomfort, staying in my own lane by focusing on my own progress (as opposed to what others are doing), and celebrating small wins. Quality time with family is also really important to me. Like I said, our lives can be hectic, but it’s really important for me to make sure that I’m there for my son and husband. My son is five, and so we like to do art projects, bake, read stories, and play sports together. My husband and I have date night once a week. I also have a sister and nephew who live in my city, and so we see each other quite a bit. And although my mom lives back in Canada (where I grew up), I talk to her most days during the week. Keeping those connections strong gives me a stable foundation in my life. I know the time can be fleeting, so I make sure to enjoy it where I can. Finally, I constantly remind myself that life is finite. My older brother died when I was fifteen, and my father died 3 years ago, so this is an awareness I’ve had for some time. A few years before my dad died, I asked him what he wished he had done differently. He said that he wished he had stopped to smell the roses more and that he had tried more things. So, those words of wisdom stay with me, and encourage me to slow down and to experience all that life has to offer..
My favorite book that I turn to when I need a boost of inspiration is The Alchemist by Paulo Coehlo. It always serves as an amazing reminder of our individual power, and the fulfillment that comes from following our life’s purpose. I try to read this book at least once a year — every time I read it, I get new insights and motivations. I also love The Essential Rumi translated by Coleman Barks. Sometimes I just randomly open it to a page, and enjoy reading the very soulful and lyrical wisdom expressed in the poems. If you haven’t read Rumi, you don’t know what you’re missing! I’m also really inspired by people who are so passionate about their work that they totally throw themselves into it, because they have a very clear vision of what they want to create. For example, Beyonce, Serena Williams, and Lady Gaga are three women who are clearly doing exactly what they are supposed to be doing career-wise, and you can see how invested they are in excellence. I also really love people who use their platforms to influence others to make positive changes. In addition to those three incredible women I just mentioned, Barack Obama, Bill and Melinda Gates, Lebron James, Malala Yousafzai, Roger Federer, and Oprah Winfrey are big inspirations. It’s a really important quote to me, because I frequently used to hold myself back in life due to a fear of failure. In fact, it was the biggest factor that held me back from starting my own business. For years, I had wanted to work for myself, helping businesses to apply positive psychology principles to achieve greater success. I was passionate about the topic, but I was too scared to go out on my own. What if it didn’t work? What it I made mistakes? What if I failed? What would other people think? Finally, I decided that I would rather try and fail than to go through my life wondering “what if?” So, in 2014, I ventured out on my own. I made some mistakes along the way (which were really helpful learning opportunities), but I’ve learned so much. I’ve challenged myself and truly learned what I’m capable of. I’ve created a lifestyle I love, and I have a positive influence on people. Every time I get feedback from someone about how I’ve helped them in some way, it just provides further validation that I chose the right path. Yes! I’m currently working on doing more public speaking in the form of keynotes and workshops. Speaking is something that people have told me I’m great at, but I’ve shied away from it because I’m an introvert. At this point, however, my desire to help others has become much stronger than my fear! From my years of executive coaching, I’ve learned so much about how to inspire people to become better leaders, how to craft meaningful careers (and lives), and how to go after their dreams. So, instead of just doing that one-on-one or via my online courses, my plan is to get out there more and to speak to groups, so I can help many more people to enjoy meaning, happiness, and success in their lives. I would inspire an even broader mindfulness movement. I feel as though we are in the midst of one, but I still find that there are a LOT of people I come across who are unfamiliar with mindfulness. I’ve seen it have such a positive impact on so many people’s lives (including my own), that I really do want to spread the gospel of it far and wide. The simple act of slowing down, observing ourselves without judgment, and being in the present makes life so much richer and fulfilling. So, I would love it if more people not only knew about it, but practiced it. I think it would make the world a better place.